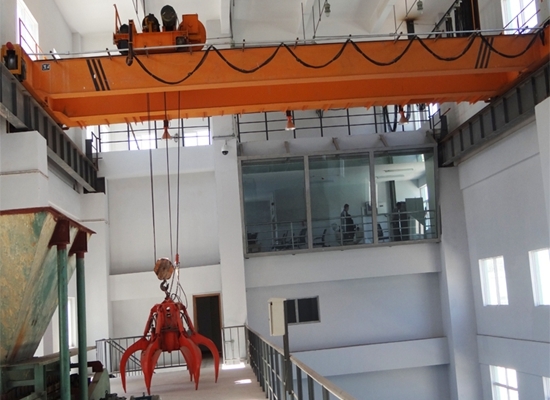 Electric overhead travelling crane is widely used for lifting and transporting material in different sites, such as plants, workstation, factory, warehouse, construction site. This kind of crane has stable performance, simple system, strong adaptation, easy use and high efficiency. 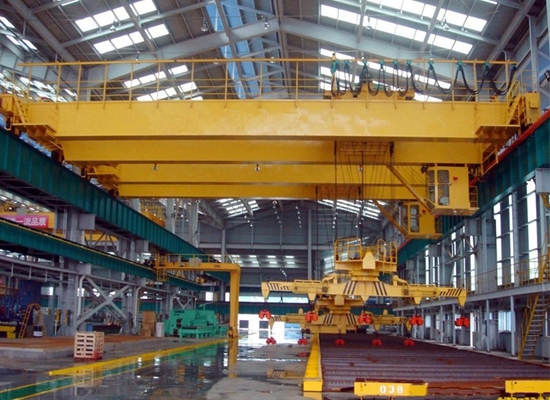 Overhead travelling crane has various types. 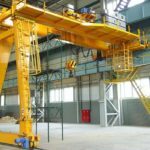 For girder number , it includes single girder crane and double girder crane; for girder place, travelling bridge crane has underhung crane and top running crane; for capacity, travelling crane includes heavy lift crane and small crane. 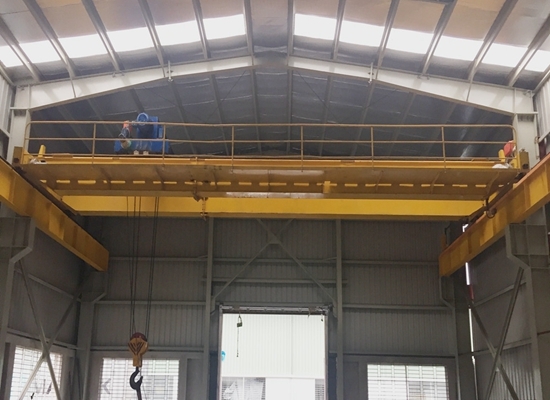 Our company, an industrial cranes manufacturer in China, provides customized cranes for sale, such as workstation crane, portable bridge crane, indoor mobile crane, industrial overhead crane, small shop bridge crane. To expand our business, our company set agency in Pakistan. For any type of cranes, just send inquiry to sales@crane.pk . 5. Safety with high performance. 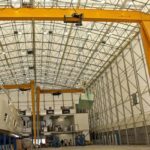 Overhead crane prices are related with many factors, such as crane manufacturer, crane quality, crane types. To get a suitable girder bridge crane, customers should be clear about the crane. For example, if the crane is used for heavy duty, large crane is better, 15 ton overhead crane, 30 ton crane, 50 ton crane; for light duty, small crane is reliable, 2 ton overhead crane, 3 ton bridge crane, crane 5 ton capacity, 10 ton bridge crane. In general, light duty crane is cheaper than heavy duty crane. Reliable crane quality can save much cost. 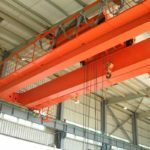 Qualified cranes have stable performance and long service term, and don’t need much repair or maintenance. This can save extra expense. When the voltage/phase is too low, the electricity will disconnect. When the voltage/phase is too high, the electricity will disconnect. 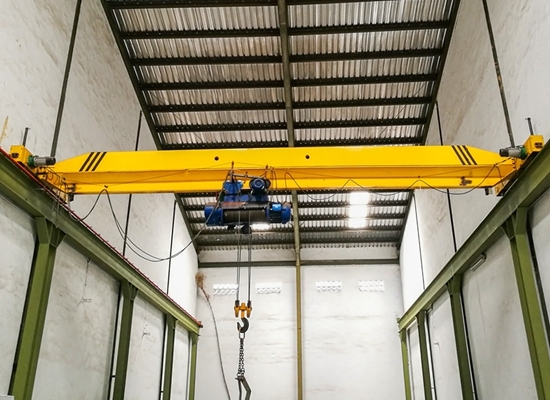 When the lift capacity is more than the max rated lift capacity, the electricity will disconnect, the crane will stop work. Supervise the decrease of hook. There is a limit height. The hook cannot fall any more if reach this limit. Supervise the up and down limit position of hook. Avoid the over increase and over decrease, protect hoist. Supervise the travel of crane, and stop crane travel more than rated travel distance. Keep safe. 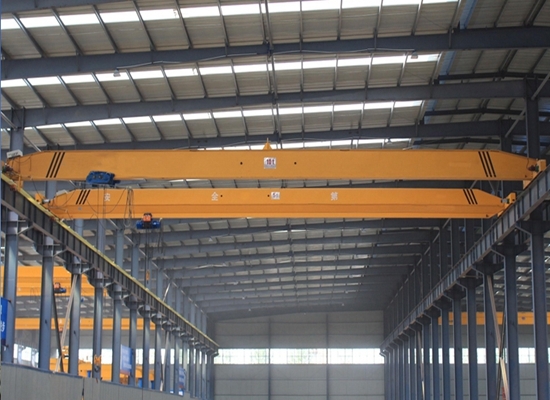 1.Component unit: the crane is simply constructed by girder, end carriages, hoisting unit and electrical control. The design is based on the principle of maximum functions with minimum component units and free maintenance. 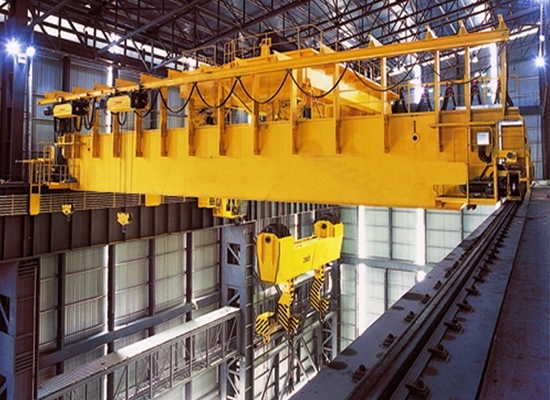 2.Main beam unit: adopts the rigid box type girder, and hoists traverse on the wings of under. covering plates, which can maximum the traversing approaching and improve the traveling stability compared with traditional H Track design. It is also designed with low noise and high safety. Meantime it greatly increases the working space of crane. 3.End Carriage Unit: Adopts rectangular pipe with high mechanical property and high quality, which is welded standard and automatically. 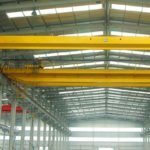 It highly minimum the dimension of the crane and decrease the total height of workshop, then lower the investment on workshop construction. The speed is controlled by inverter, travel stably without impact. 4.The traveling is driven by inverter which can make the startup, operation and stop stable and free from impact. Lifting is driven by dual-speed(also can choose inverter drive) that can realize material transportation, unloading and assembly better. The installation of hoist and main girder adopted screws pith adjustment enable the dimension of hoist and main girder is more accurate and convenience, The small gap of hoist and main girder that greatly increase the lifting space and save the material space. 5.Control unit: main electric element adopts international well-known brands, so it is high quality with good performance. Its security is guaranteed Control method consists of pendant control, cabin control and wireless remote control, and also be used in combination. It is very excited to see lots of our cranes are installed in different countries. We can send engineers from China to do installation and test running for overseas clients. Now we have sales agents in Pakistan. Any query about crane in Pakistan, you will get local help within 24 hours. Many customers come to visit us to establish a long-term business relationship with us. They said because of our crane, their heavy work becomes easier. We learned a lot from each other and we are growing up together. Now we are not only business partners, but also closed friends. Welcome to visit us at your convenient time!